"For it is with justice, we believe, that the condition of slavery is the result of sin." "Thus says the LORD, the God of Israel, 'Let my people go, so that they may celebrate a festival to me in the wilderness'." Pro-slavery proponents used religion to justify the enslavement of Africans. The book of Genesis was understood to suggest the descendents of Ham were condemned to slavery; Noah ‘curses’ his son Ham for not averting his eyes from his father’s nakedness, and so Ham is destined to be a slave of his brothers. Supporters of slavery linked the condemnation of Ham with Africans, claiming that the Hamites were Africans. They asserted that their skin colour signified darkness, evil, sin and the devil, while white skin signified purity, innocence and light. "A further scriptural evidence that the conduct of Joseph in purchasing so many millions of his fellow creatures and reducing them to the conditions of slaves met the entire approbation of God and was therefore perfectly consonant to the sacred laws of nature is that remarkable declaration on the word of God registered in the first book of Chronicles," stated Reverend Harris in Liverpool in 1788. 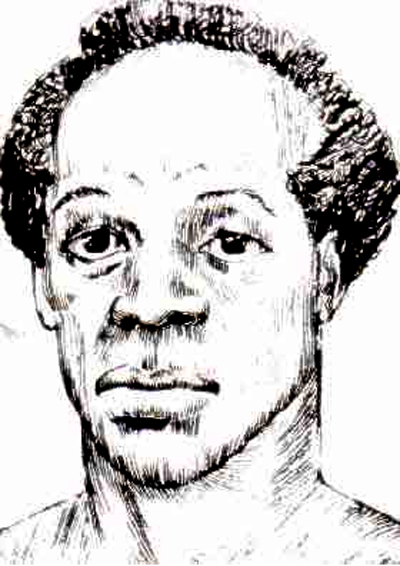 William Knibb – Baptist minister and missionary to Jamaica. Abolitionist who preached equality, and presented evidence in favour of emancipation. Ironically, the scriptures that were used to justify enslavement were also used to condemn it. Passages in Exodus interpreted the enslavement of a fellow countryman or someone of the same religion as wrong. Therefore Africans who were baptised believed that they could not be enslaved. A church parish record of baptised Africans in England is evidence of this. In the Caribbean, the authorities were suspicious of missionaries wanting to spread the word of God amongst the enslaved workers. ‘"We have had occasion repeatedly to express our opinion of the sectarian propagandists, who send forth their missionaries out of a pretended zeal for the salvation of souls. The influence they possess over the minds of the Negroes is more widely ramified than imagined, or would be readily believed. Let them be looked after now more strictly than ever", an outraged planter wrote in the Guiana Chronicle. The Reverend James Dore used the story of the Tyrians’ destruction as punishment for the enslavement of the children of Jerusalem, as his condemnation of the slave trade. "The idea of trading persons of men should kindle detestation in the breasts of men – especially of Britons, and above all Christians" , he said. In a sermon preached before Cambridge University in 1788, Peter Peckard asserted that "it is not too late to return to God. We are assured that when the wicked turneth away from his wickedness and doeth that which is right, he shall save his soul". 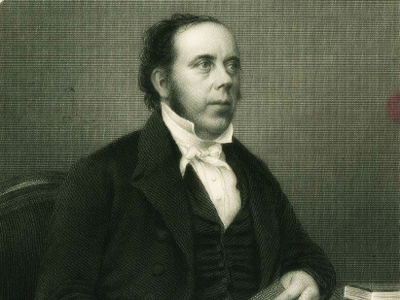 The Jamaican Baptist preacher and activist Sam Sharpe believed from his reading of the Bible that slavery was morally wrong. He helped to spread the view that the Crown had already freed the slaves and that the local white people were withholding that freedom. He planned a campaign of passive resistance during Christmas 1831, which escalated into a full scale rebellion. Although Sharpe was hanged in 1832 the uprising had a significant effect in promoting the cause of emancipation. Observations occasioned by the attempts made in England to affect the abolition of the slave trade, showing the manner in which Negroes are treated in the British colonies in the West Indies. "...The eldest born of Ham, who was accursed by his father, was called Cush, which, in the Hebrew language signifies black.."
"...a further scriptural evidence that the conduct of Joseph in purchasing so many millions of his fellow creatures and reducing them to the conditions of slaves ..."
"...a blessing was bestowed upon Joseph and his brethren about for or five years after Joseph had enslaved all the inhabitants of Egypt..."
"...were the slave trade as criminal in its nature as pretended..."
"...that there should be found among his works the practice of dealing in human flesh..."
"...O thou God of love, who art loving to every man, and whose mercy is over all thy works; have compassion upon these outcasts of men, who are trodden down as dung upon the earth! ..."
"...‘The slave trade…was evidently tolerated and approved of by God Almighty in the days of Abraham..."
"...We have had occasion repeatedly to express our opinion of the Sectarian Propagandists, who send forth their missionaries out of a pretended zeal for the salvation of souls..."
"...If we carefully examine the scriptures we shall find that slavery and oppression were ever abominable in the sight of God..."
"...The hearts of the Negroes appear to be open to conviction, and seem prepared for the reception of the great truths of the Gospel..."
Which quote does not use religion to support an argument for continuing the slave trade? But, were the slave trade as criminal in its nature as pretended, were it a pursuit hateful in the sight of God, and an atrocious encroachment on the sacred rights of justice and humanity , would Jacob, or rather, would god, who spoke by his mouth, have overlooked the atrocity of a crime big with such an accumulation of guilt?